The reported assassination of former Saudi Journalist Jamal Khashoggi, inside the Saudi Consulate in Istanbul has become one of the significant topics for a month all over the world that puts Saudi Arabia into a great pressure and aroused probability of being sanctioned by their great allies of the western world. Saudi Arabian government is striving with their best afford to minimize such pressure that they have been putted in, through lots of steps i.e. arresting the 18 members including all 15 members of the hit squad who joined into the killing mission. In October 20, Saudi Arabian government admitted the Khashoggi’s killing inside the consulate as a result of fistfight after repeatedly denying his murder and claiming his exit after few moments of his entrance into the consulate. Finally, the Saudi authority had to be obliged to acknowledge such killing incident occurred to Khashoggi as a premeditated plan after the Turkey intelligence provided lots of evidences including audio recording of Khashoggi’s killing that proves such incident as not a coincident one. 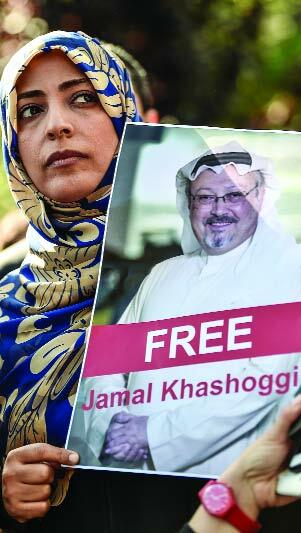 Leaders around the world started to harshly criticize Saudi authority and journalists came into the street for protest for justice. Khashoggi’s murder started to impact on Saudi that began with hitting the Saudi economy, with stocks plunging almost 7 percent in early trading on 12 October, wiping out all the gains it had made since the start of the year. Another causality faced by the Saudi authority is the world’s prominent investor’s boycotting the three days long future investment initiative program started on 23rd October, 2018 titled “Davos in Desert” for reducing its economic dependency on oil export. JP Morgan Chase & Co Chief Executive Jamie Dimon and Ford Motor Company Chairman Bill Ford cancelled their plan to attend the Saudi investor conference. Business barons – including British billionaire Richard Branson, World Bank President Jim Yong Kim and Uber CEO Dara Khosrowshahi as well as media powerhouses like Bloomberg and CNN – had all pulled out. The absence of media and technology executives is likely to cast a shadow over the three days event, which had become the biggest show for investors to promote Saudi Crown Prince Mohammed bin Salman’s reform vision. Saudi Arabia is the greatest partner of USA in the middle-east. Despite being a prominent writer of US’ powerful media Washington Post and even passing more than a month of the incident occurred, USA government has yet to take any positive action against Saudi Arabia in relation to Khashoggi’s killing. After being questioned of imposing sanction on Saudi over the matter, US president Trump is strategically avoiding the questions saying “There are other ways of punishment.” In an interview Trump rejected the offer of imposing sanction claiming Saudi as a great ally of USA in terms of arm deal and Iran issue. There are some particular issues that eliminate the possibility of US-sanction and deterioration of Saudi-USA relationship. The Saudi authority had to be obliged to acknowledge such killing incident occurred to Khashoggi as a premeditated plan after the Turkey intelligence provided lots of evidences including audio recording of Khashoggi’s killing that proves such incident as not a coincident one. 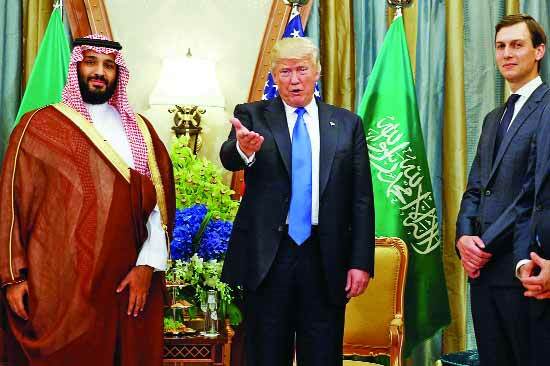 USA has $110bn arms deal with Saudi Arabia that created lots of job opportunity in USA in production of the weapons that are to be provided to Saudi Arabia and will contribute more than $10bn to US economy. Through providing arms, USA has long been using Saudi Arabia to confront Iran issue in the middle-east. US would lose such interest if they impose any severe sanction on Saudi Arabia after cancelling such arm deal. Saudi Arabia will make agreement with US’ great enemy China and Russia for buying arm that US never want. Saudi Arabian Government would also take comparatively good relationship with Iran, increase oil prices, improve relation with Hamas and Hezbollah, manage oil trade through Chinese currency Yuan rather dollar and facilitate Russia to make troop base in its border that will definitely cutback US power in middle-east. So both USA and Saudi Arabia are taking some notable measures to keep their relationship better. Saudi Arabia has already handed over $10crore to US to manage the Khashoggi’s case though US official claims this amount was given for the construction of devastated countries as a previous deal. White house authority called on Israeli prime-minister Netanyahu and Egyptian president SiSi for supporting Saudi Prince Mohammad bin Salman in reducing the turmoil that evolved due to Khashoggi’s killing. In a program, Netanyahu expressed his pledge to stand with Saudi for not creating any unrest situation over the mater addressing this as a brutal matter. The other Saudi partners in western like UK, France, and Germany express their concern formally over killing of journalist Jamal Khashoggi though they continue their reprobation addressing such incident as a terrible matter. 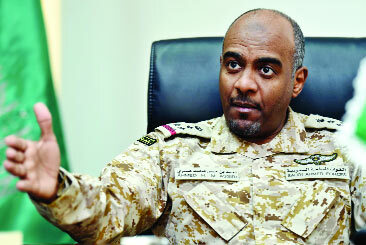 But still they have not taken any remarkable action against Saudi Arabian Government. In response to the a question in parliament, UK Prime Minister Teresa May, skipped the matter of selling weapons to Saudi government those are being used in barbarous attack in Yemen in the name of expelling Houthi rebels that created the largest humanitarian catastrophe in the region. French president Emanuel Macron said any sanctions against Saudi Arabia in response to the murder of journalist Jamanl Khashoggi should be at the “European level”. He made the statement on the sidelines of the Syrian summit in Istanbul. Macron issued the call for united European action in response to German chancellor Angela Markel’s decision to halt Germany’s arms export to Saudi Arabia. Macron claimed that there was no link between Khashoggi’s death and Saudi Arabia’s purchase of French-made weapons. Germany has halted arm export to Saudi till the circumstances passed away and Saudi authority clarified their statement as to the incident. However, Saudi Arabia is now under a great pressure. The media of Saudi Arabia and their middle-east ally Dubai, Bahrain and Egypt propagating the incident occurred with khashoggi and the situation roused over this as a conspiracy of Iran and Qatar to put Saudi into a great pressure since Saudi-led coalition imposed economic blockade on Qatar. A silent conflict between Turkey and Saudi has been going on over Qatar’s blockade, Saudi’s attack on Yemen and Lebanon that has turned into more deteriorating relationship. Turkey president Erdogan strongly claimed Saudi’s highest authority indicating MBS’s involvement in the murder and executions of those who were directly involved in the case. Turkey is urging world’s leaders to take notable measures against such brutal murder. As a part of the game, Turkey government released Pastor Brunson, an American citizen and spy, who had been arrested in accusation of being involved with Fetu movement in the failed coup in 2016 to push the US government to impose an economic sanction on Saudi Arabia. White house authority called on Israeli prime-minister Netanyahu and Egyptian president SiSi for supporting Saudi Prince Mohammad bin Salman in reducing the turmoil that evolved due to Khashoggi’s killing. In a program, Netanyahu expressed his pledge to stand with Saudi for not creating any unrest situation over the mater addressing this as a brutal matter. The influential newspaper of USA made the issue as a significant one all over the world and shakes MBS’ abuse of power through continuously detaining and absconding his dissents that was started since he had become the de facto leader Saudi Arabia. Erdogan’s tireless attempt also made the topic more significant. Turkey’s government is trying to convince her western allies to impose sanction and stop arm trade through sagacious steps. Scenario says that Turkey seems the mostly benefited as to the matter due to handling this scrupulously and ostracizing Saudi and US to not taking any notable step over the matter. However, Saudi’s Western ally will may take some severe steps in future after being proven MBS’s involvement in killing of Khashoggi that may fragile his power. The writer is an under graduate student at the University of Dhaka.